Vantage Fee Protect works in partnership with many professional bodies and accountancy providers offering the very best to our clients’ accountancy practices and their clients. Here are just a few of those who we are in partnership with. 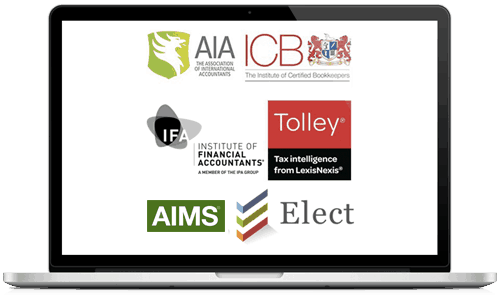 Vantage Fee Protect partner with Elect who provide services to our clients in respect of embedded capital allowances and Research and Development tax credits. Elect are staffed by individuals with many years’ experience in this area and are quite unique in their use of technology, which minimises disruption for the client and secures accurate data in support of their claims. Vantage Fee Protect is the preferred provider for AIMS Accountants for Business, a market leader in accountancy and taxation services for the SME sector. Established for over 25 years, they have over 200 qualified accountants across the UK, providing a professional, personalised and local service. All work is done on a fixed fee monthly basis, greatly helping cashflow for their clients in the largest business sector in the UK. Vantage Fee Protect works in partnership with Berea who provide a web based app to help businesses achieve and maintain compliance with Cyber Essentials, the government’s risk management specification for cyber threats. Vantage work in partnerships with Rhino Trade Insurance. Rhino Trade Insurance Services are a UK based tradesman insurance broker that serves the self-employed tradesman community.